"Truth is just another story." Herein lies, Tracker's testimony. A nose for hire who loves no one and believes in nothing, Tracker is recruited by his shape-shifting friend, Leopard, to find a missing boy of mysterious origin. However, truth turns out to be a slippery thing and is always in contention as Tracker struggles to unravel the real reason behind the quest as well as his own motivations for continuing the journey. Who is right and who is wrong? What is truth? Why this child? Half-truths, hidden intentions, unreliable characters and his own mouth are constant sources of conflict for Tracker. While containing all the classic elements of a fantasy novel (a fellowship, a quest, magical lands, etc. 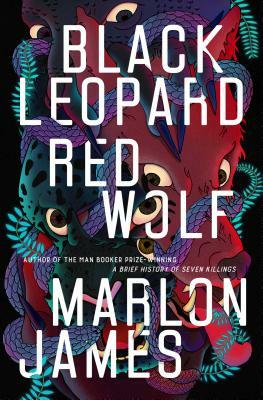 ), Marlon James concocts a wholly original tale infused with African myth and lore. James has woven a rich and complex epic packed with violent action and nightmarish creatures both known and unknown. Warning: This book will demand your full attention, but it's oh so worth it. Rated R.